Have you ever sat on the Content Marketing World website, reviewing the sessions and speakers, but find yourself not sure if you should go? Maybe you are unsure how you will convince your boss that this is the event for you. Before our first Content Marketing World, we were unsure if the value would be there as well because it is not like any other event. It looks like it would be more about fun, than education. All the photos are orange, people are smiling and having a great time, and their ... See More keynoters are famous actors and actresses, writers, and influencers we all know. That has to be a place where “business people” go to get away from their families and work, and just have a vacation. However, the event is an amazing mix of education, networking, and fun. Since we started attending this event, we have been back every year and already have our tickets for 2019! 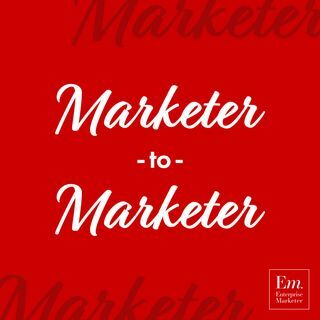 On this episode of Marketer-to-Marketer, Joe Pulizzi, Leah Hammes, Demian Ross, and Melanie Deziel chat about their Content Marketing World experiences.